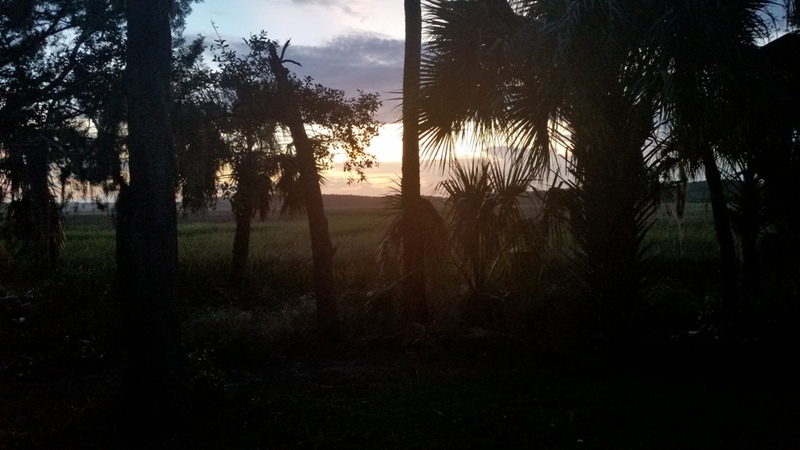 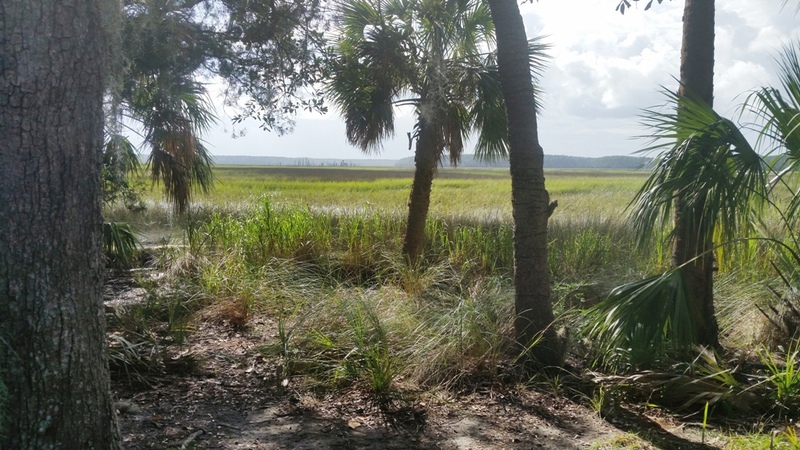 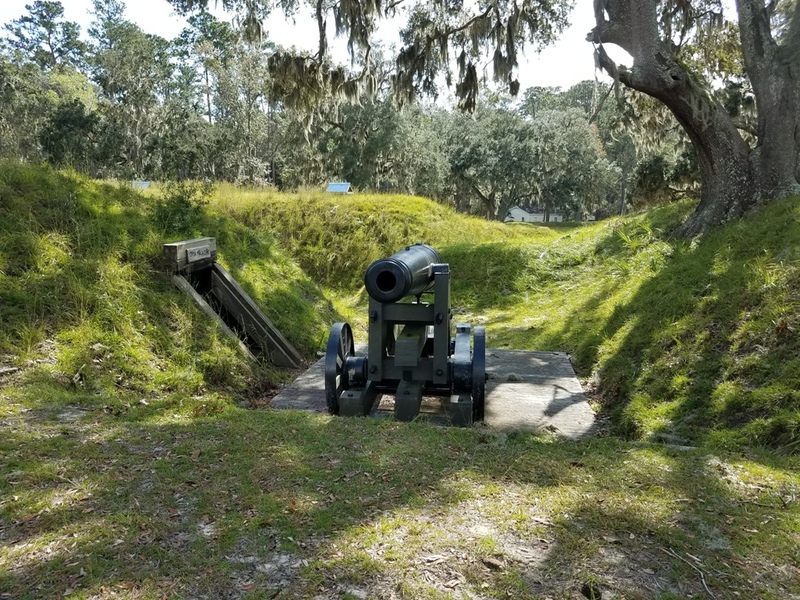 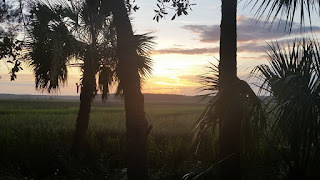 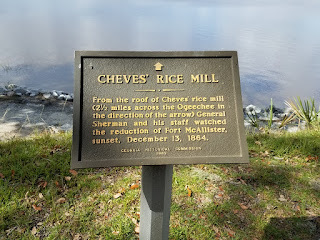 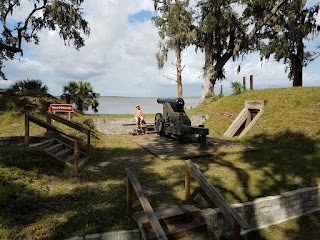 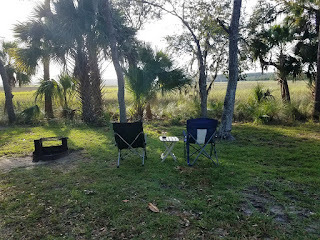 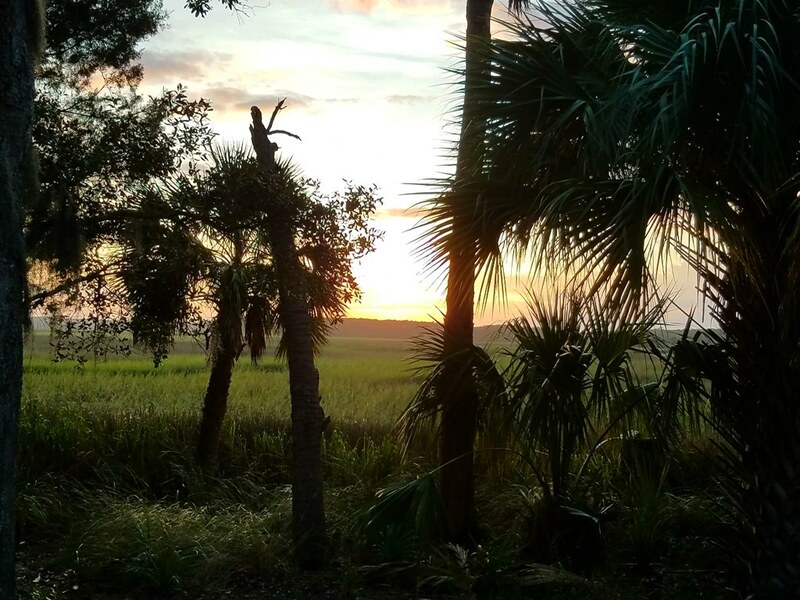 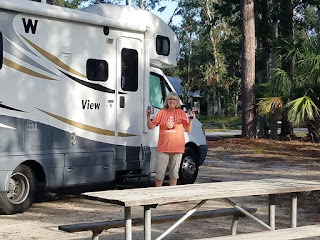 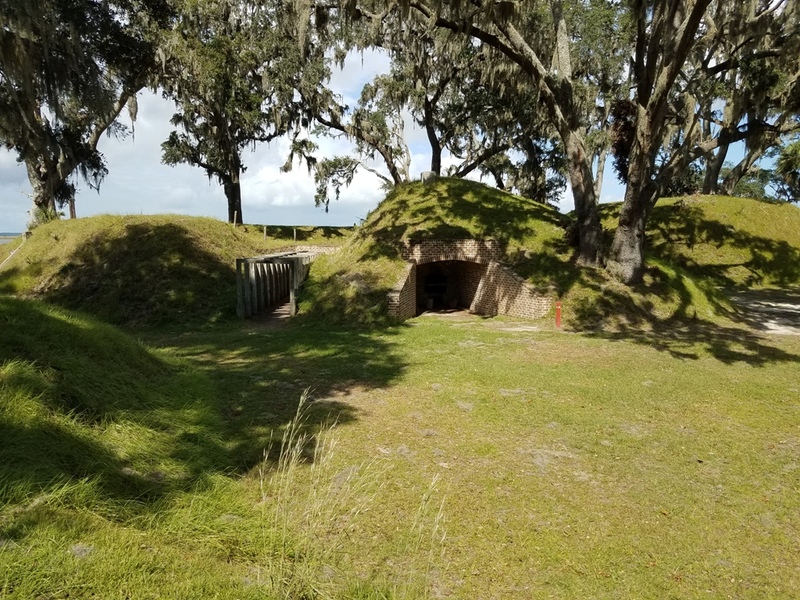 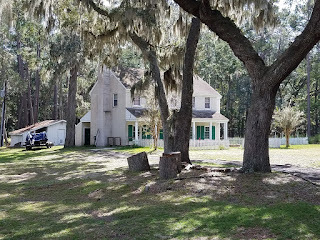 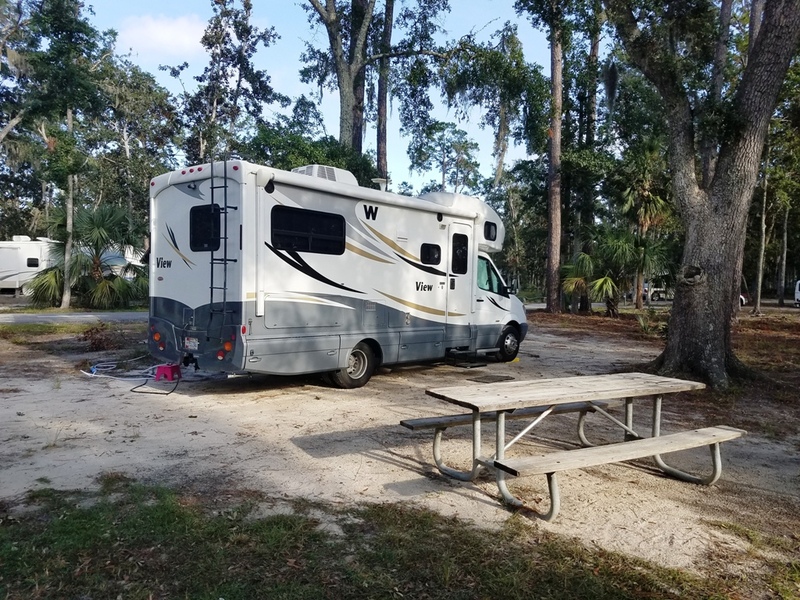 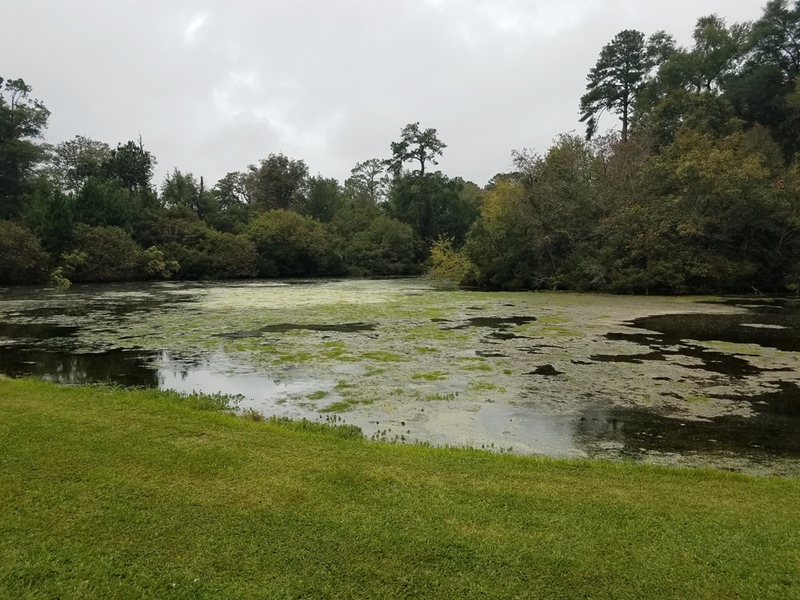 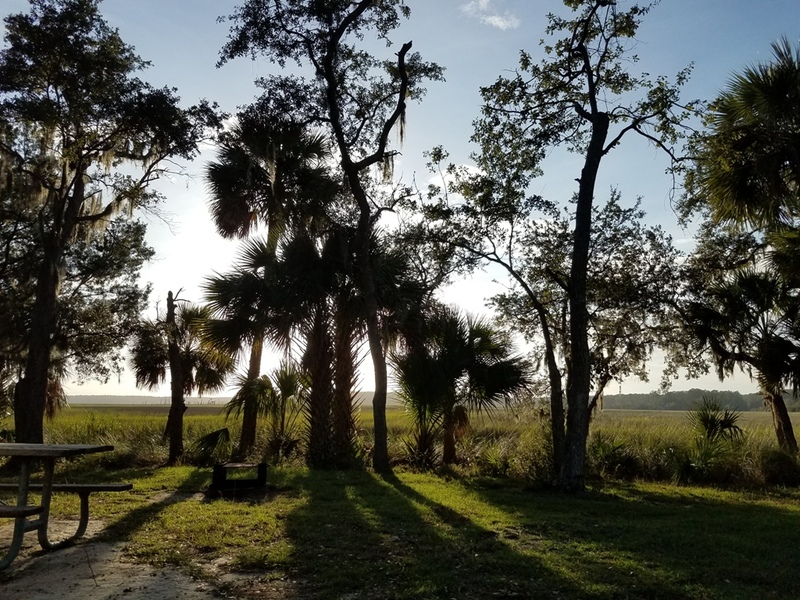 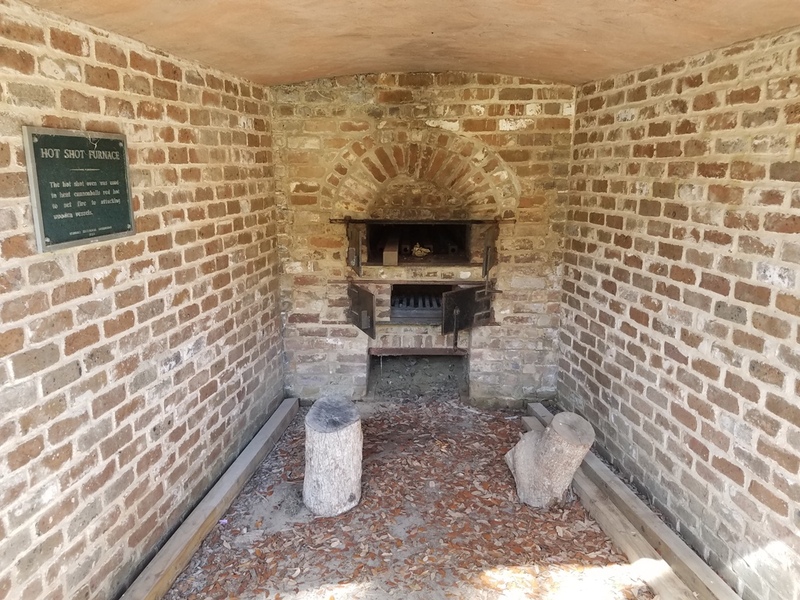 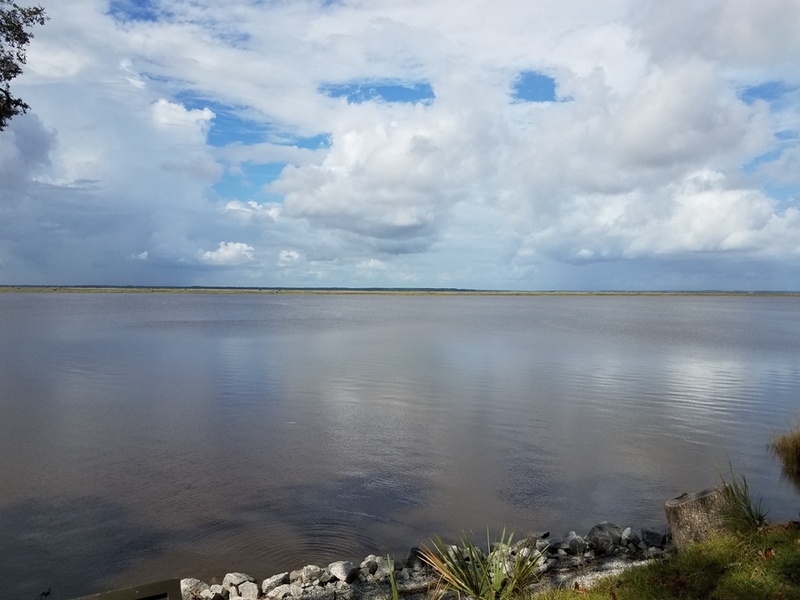 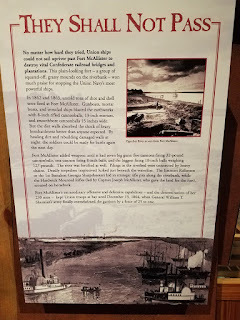 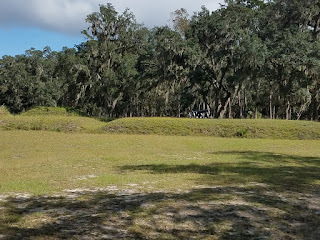 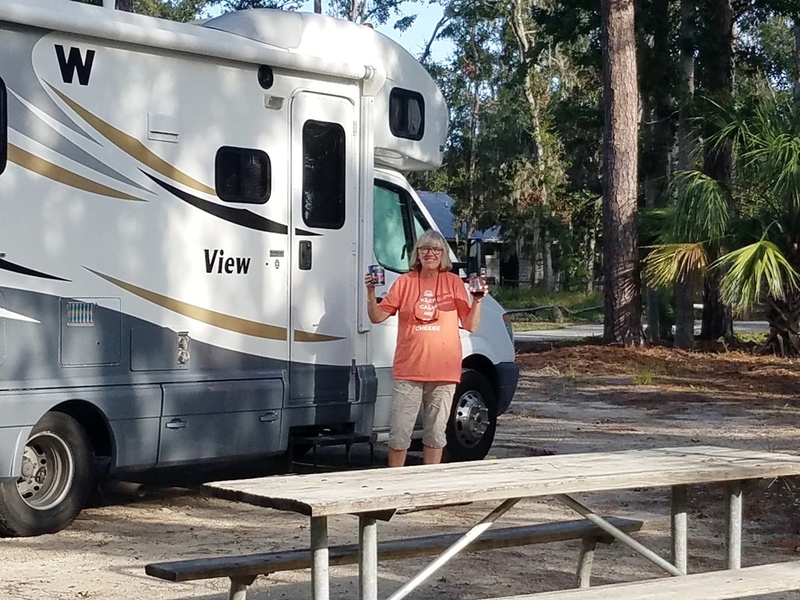 Our next stop was Fort McAllister State Park located on the Ogeechee River south of Savannah. 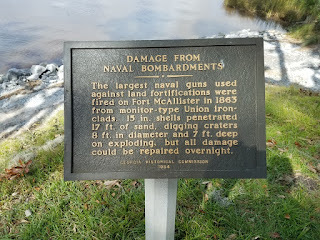 This park has an important Civil War site on the grounds. 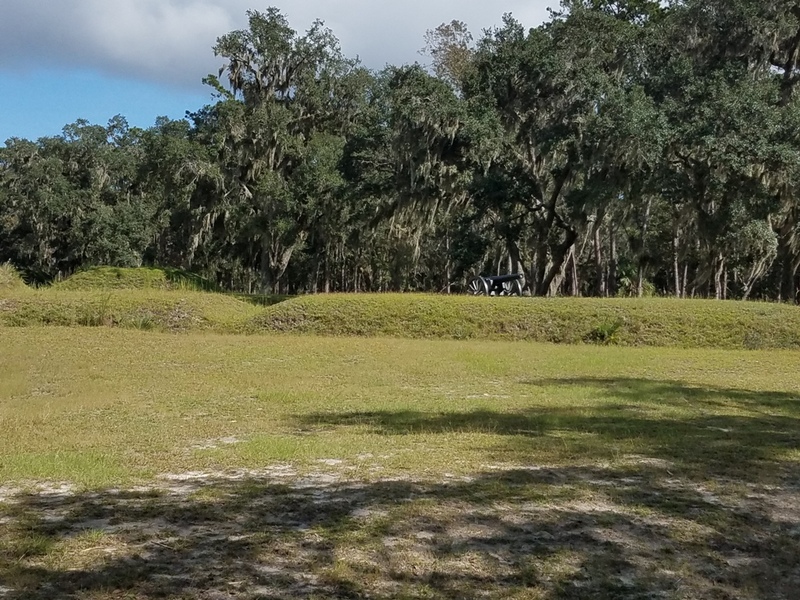 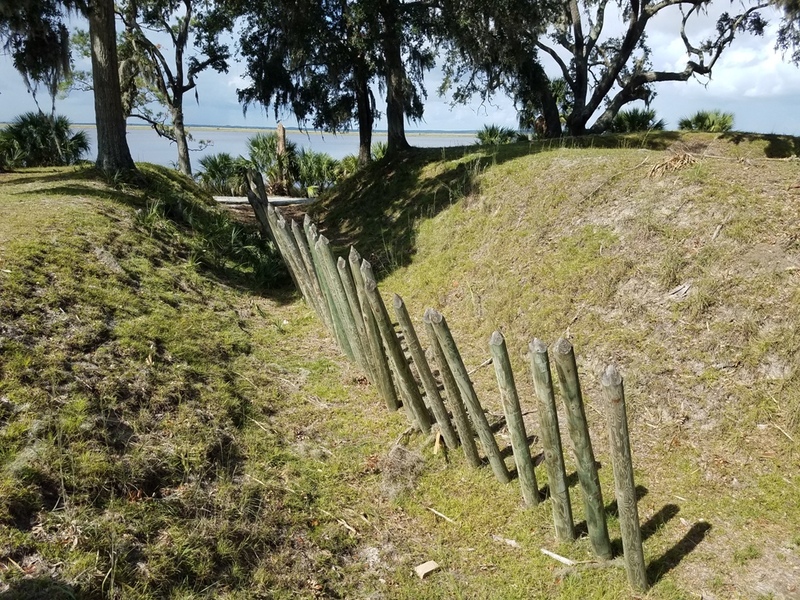 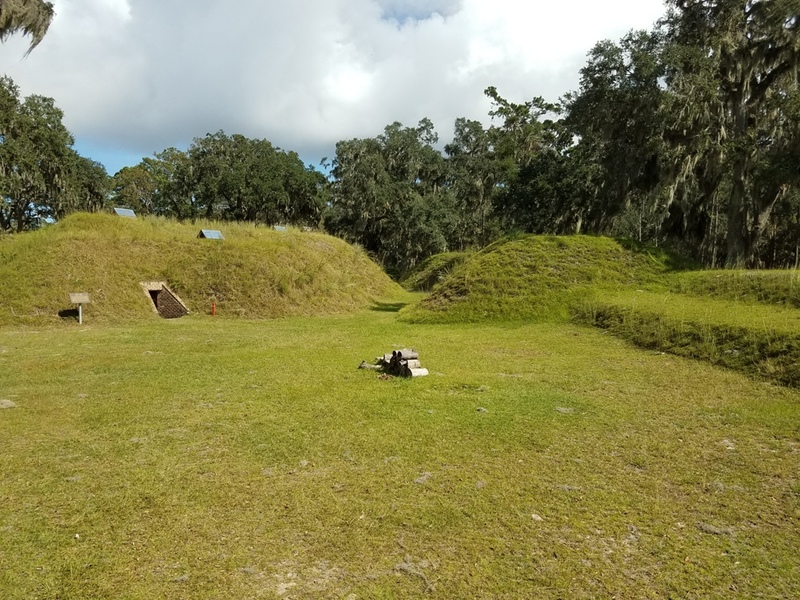 The south had build a number of substantial forts along the river farther out towards the sea on barrier islands to defend the approaches to Savannah Harbor from attack and resist the Union naval blockade. The plantation owners wanted additional protection for their property. 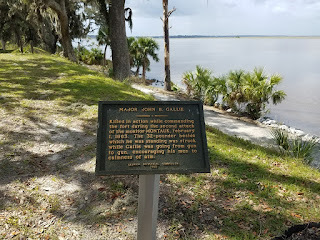 Plantation owner Joseph McAllister, who owned extensive land along the river, donated the land for a simple earthen fort to be built. 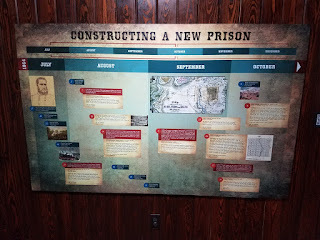 In 1861 construction began with slave labor and local Confederate militia. 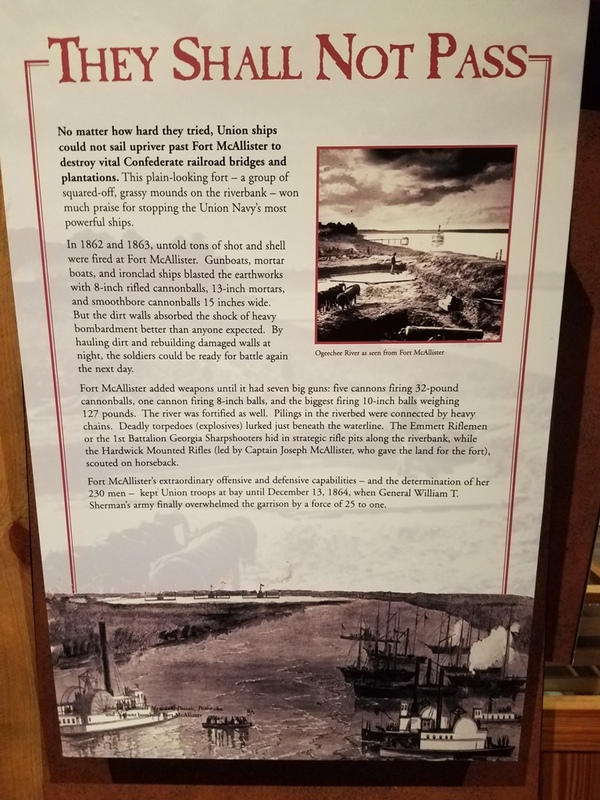 The fort proved to be very effective in preventing the union ships from moving on the river and held against heavy bombardment better than the more modern constructed forts along the river. By 1864 the Union had developed more powerful cannon and artillery. Union General Sherman watched the destruction of the fort on 13 Dec, 1864 before continuing on to take Savannah. 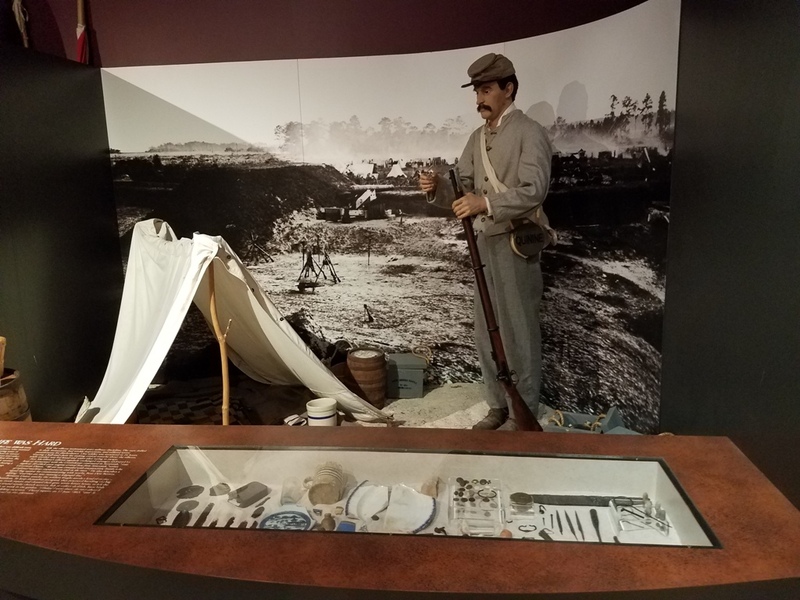 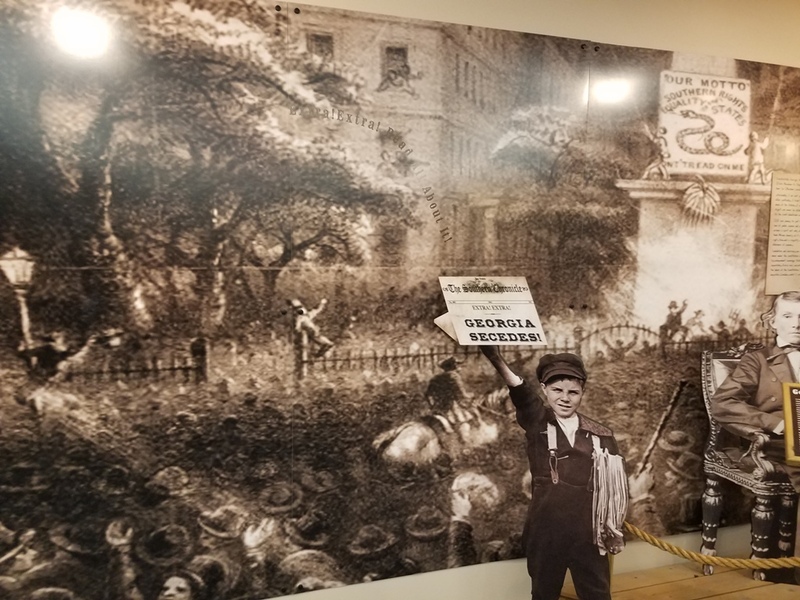 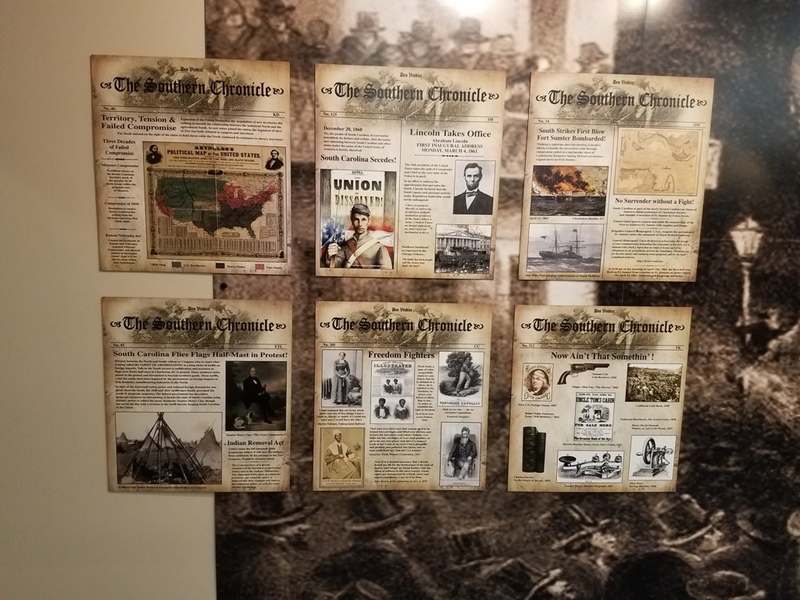 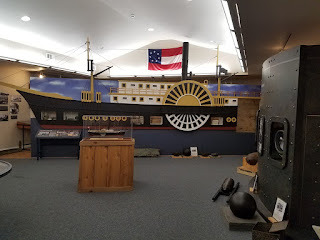 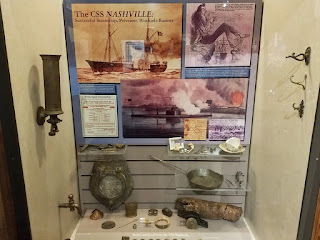 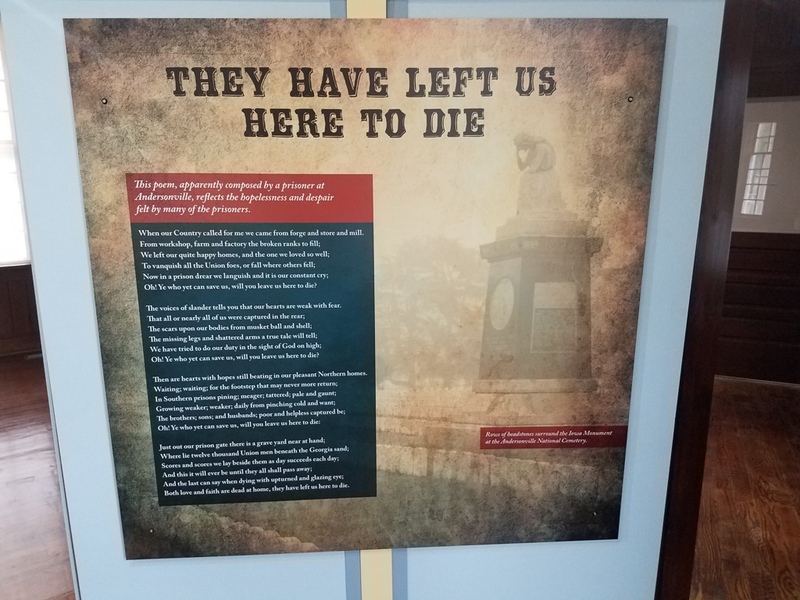 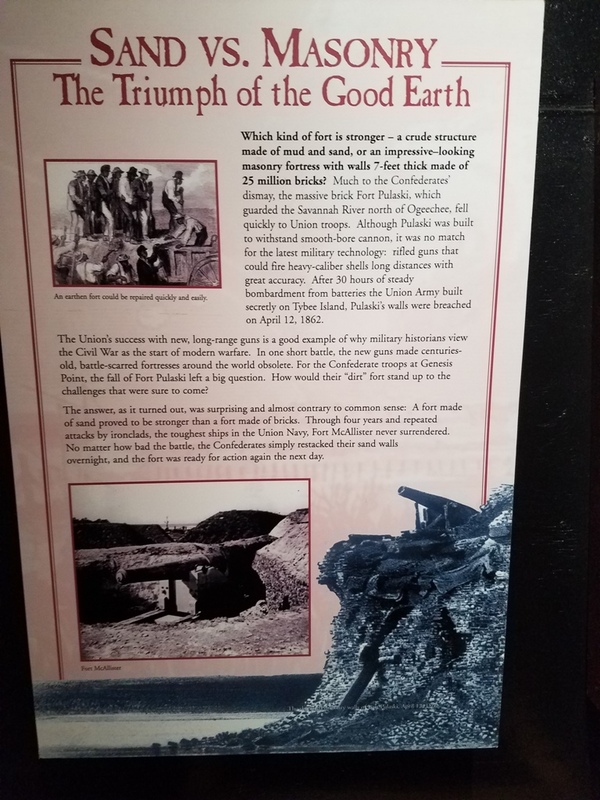 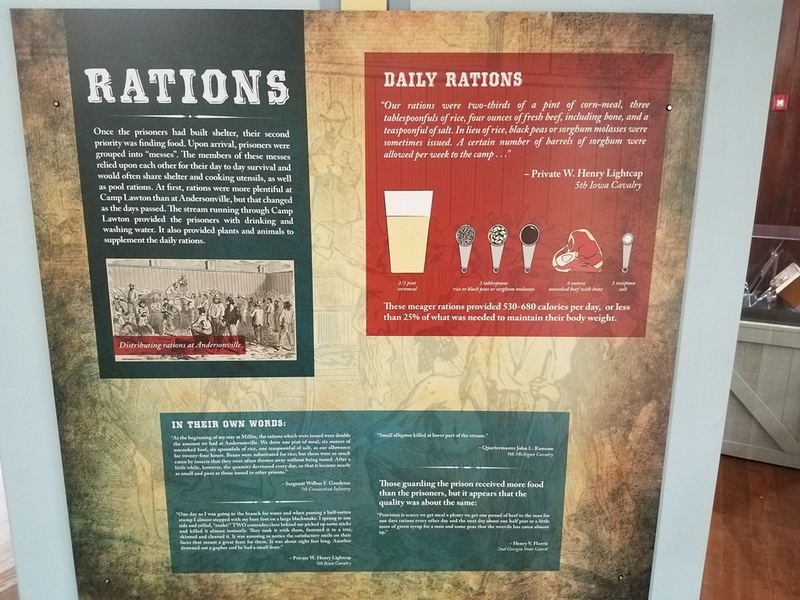 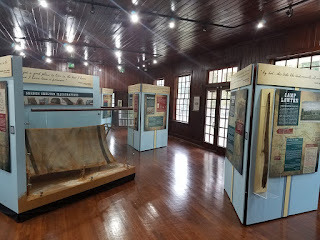 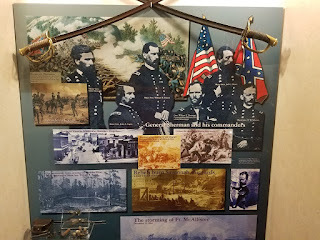 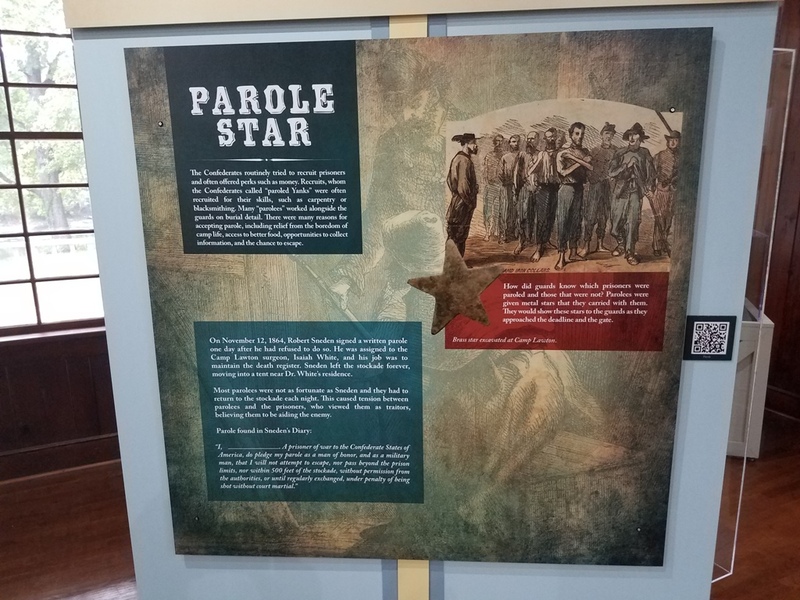 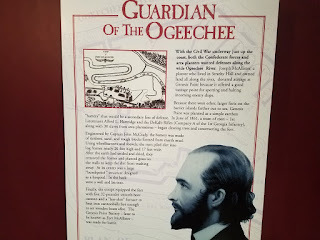 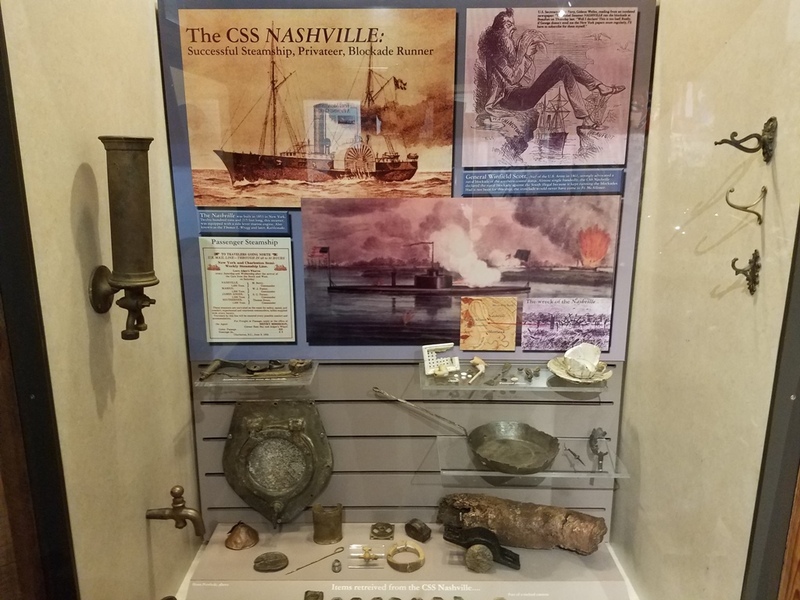 An interpretive center in the park provides a good insight into the history of the fort and information on the Civil War in general. 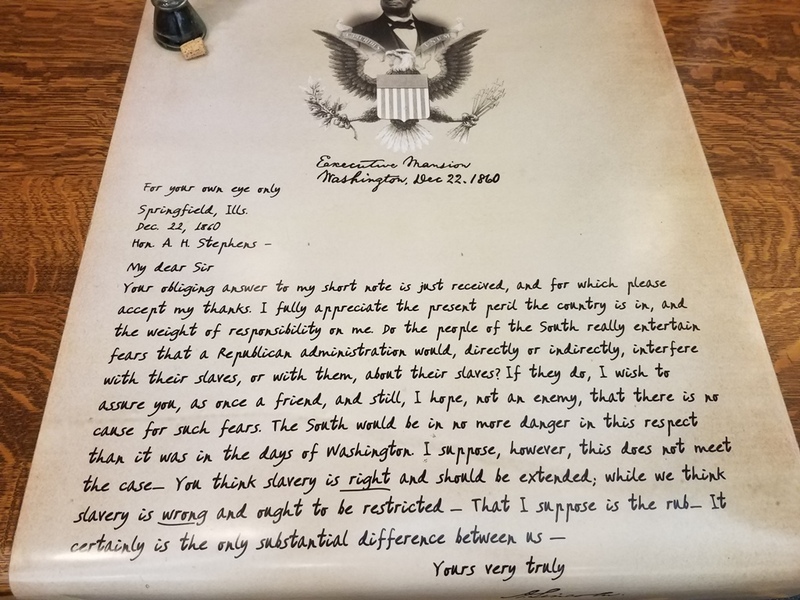 One letter from President Lincoln to A H Stephens, Vice President of the Confederacy highlights the slavery issue as Lincoln saw it. 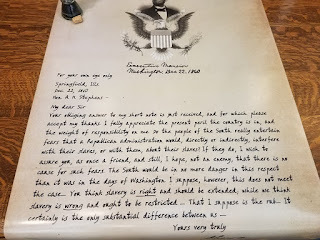 This letter suggests that, in 1860, Lincoln was not going to free all southern slaves, if the southern states abandoned their attempt to secede from the union. Today, there is a reconstructed earthen fort on the grounds built from the original plans. 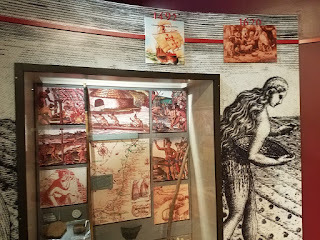 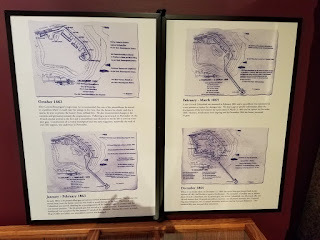 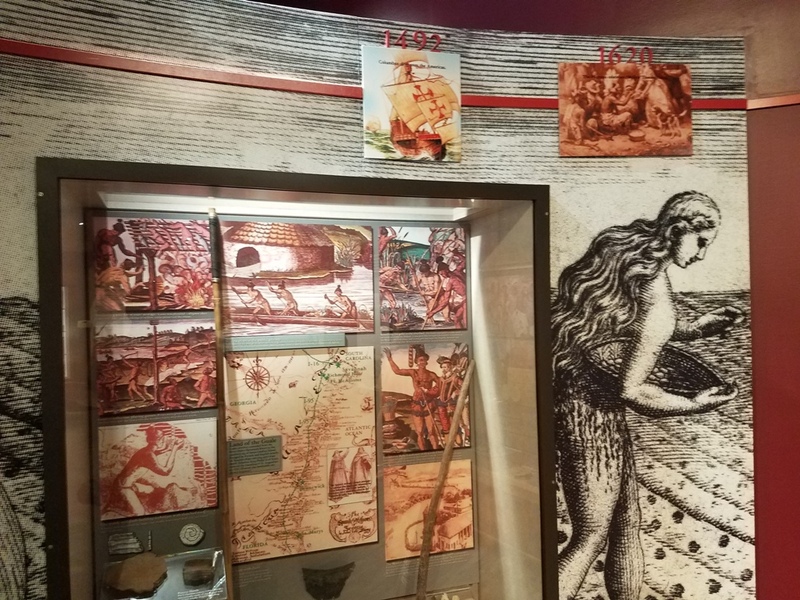 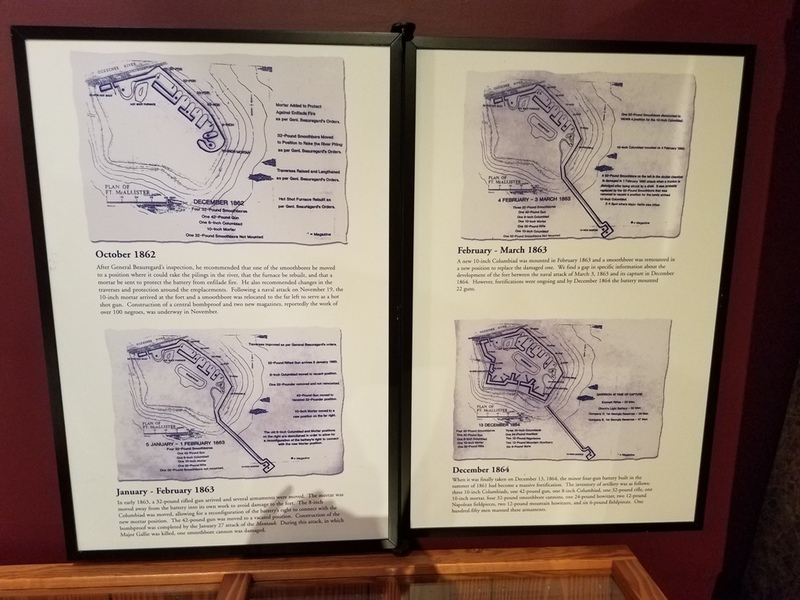 After visiting the interpretive center, you can really visualize the importance of the fort to the south. 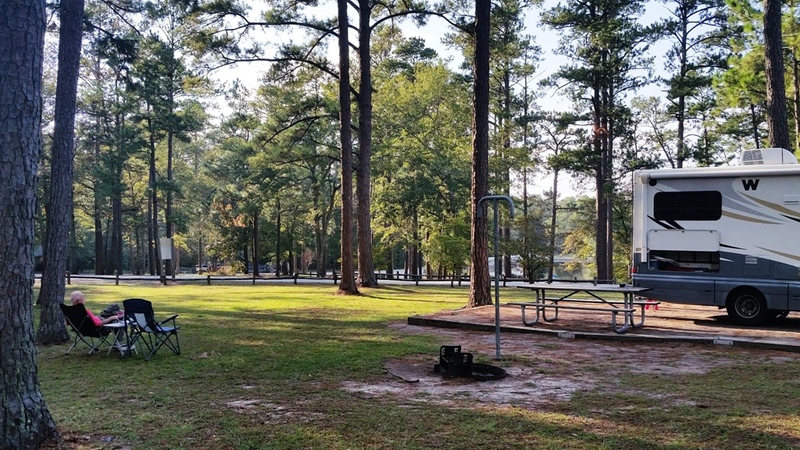 The camping area is about a mile drive from the check in office. 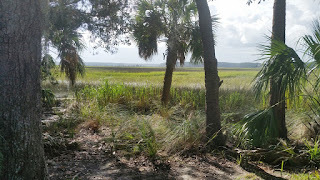 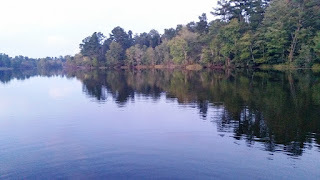 It is located in a swamp like area mostly surrounded by water. It can be a little tight for bigger rigs. 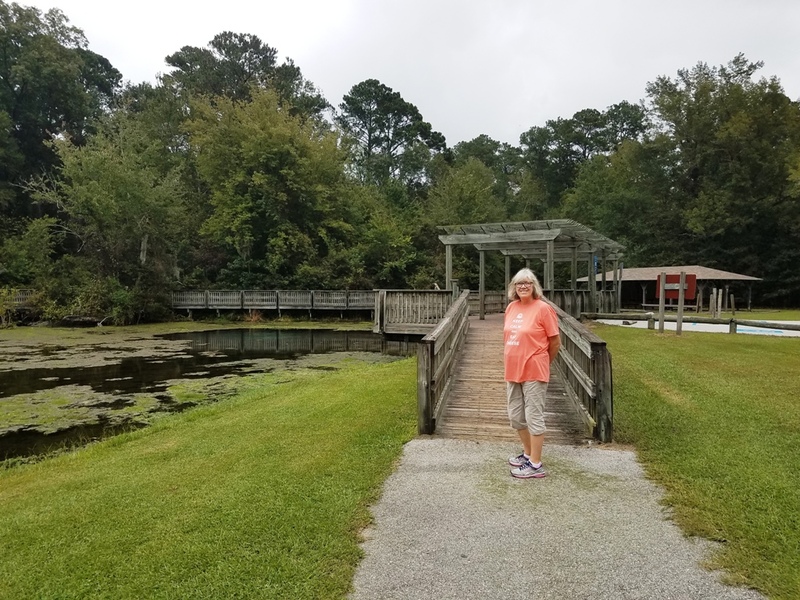 Anneke immediately ran into some of the abundant wildlife when she headed to the trash containers and found at least three raccoons checking the containers out for goodies. 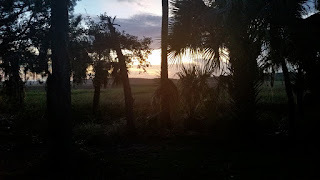 We enjoyed a few hours outside, but as darkness settled in we decided to head indoors. 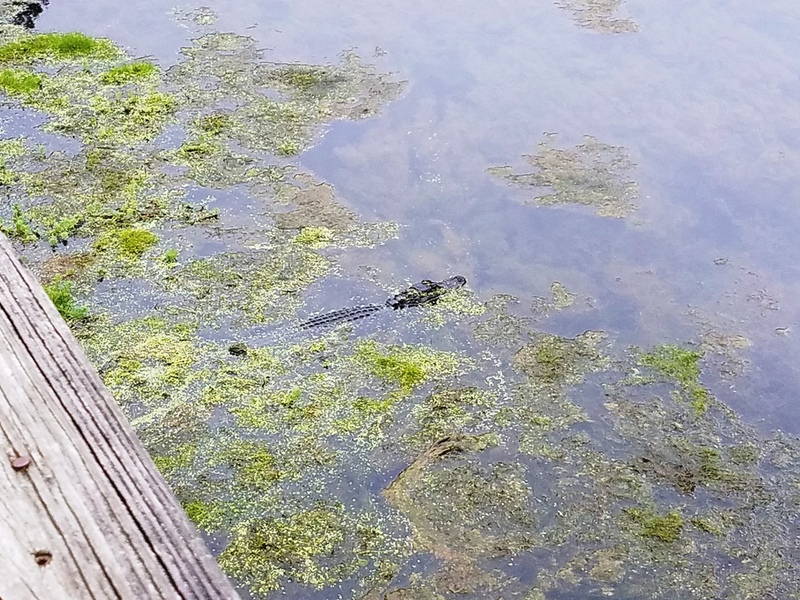 The raccoons were in the trees nearby and alligators and snakes are commonly seen here. After bidding farewell to our friends, we headed south. 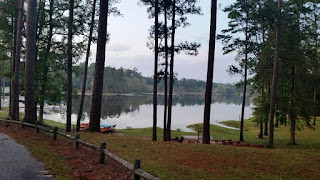 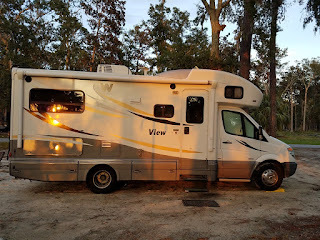 We stopped for the night at the Magnolia Springs State Park, near Millen, GA. 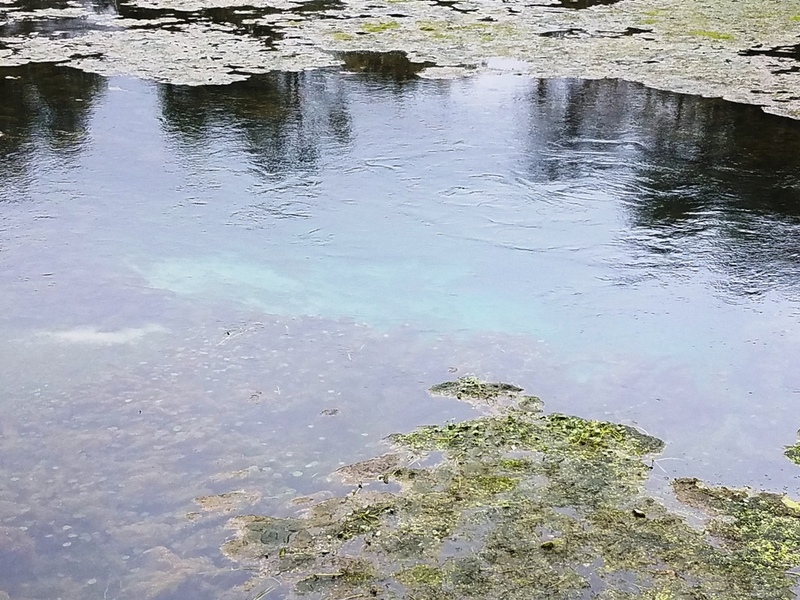 It is known best for its clear springs that has been drawing people here for many years. 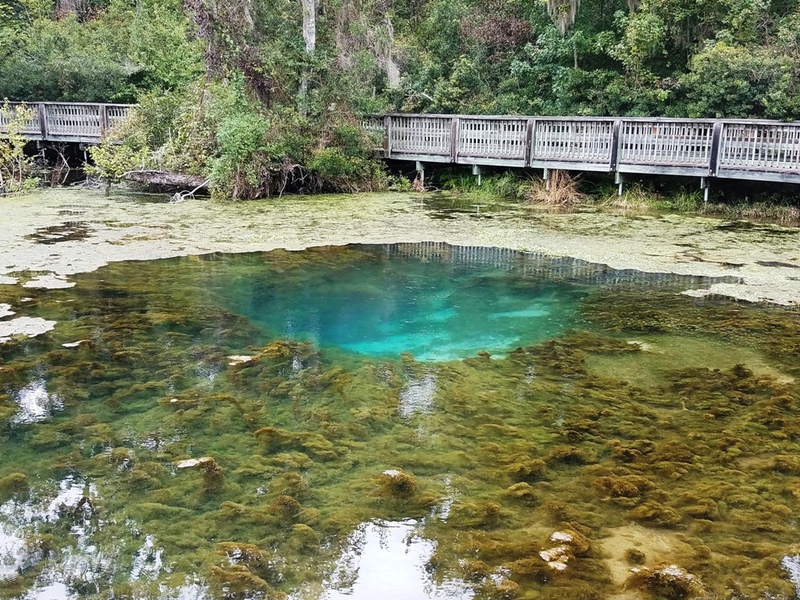 The spring has an estimated water flow of seven million gallons per day. 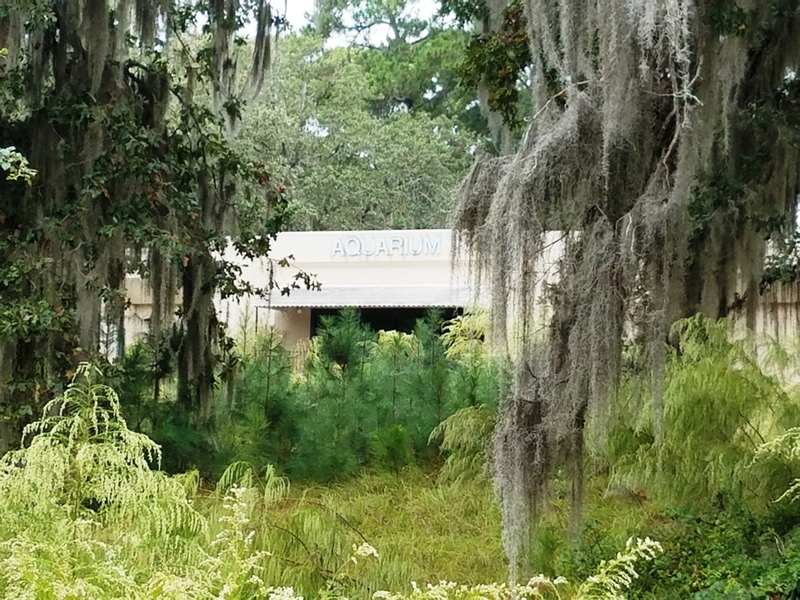 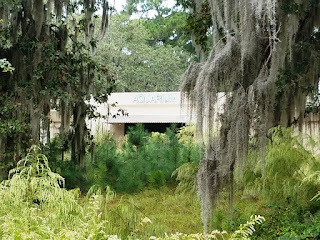 There is also an abandoned aquarium on the grounds that reportedly attracted up to 40K visitors a year for the few years it was open. 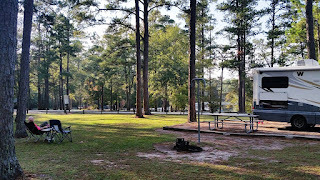 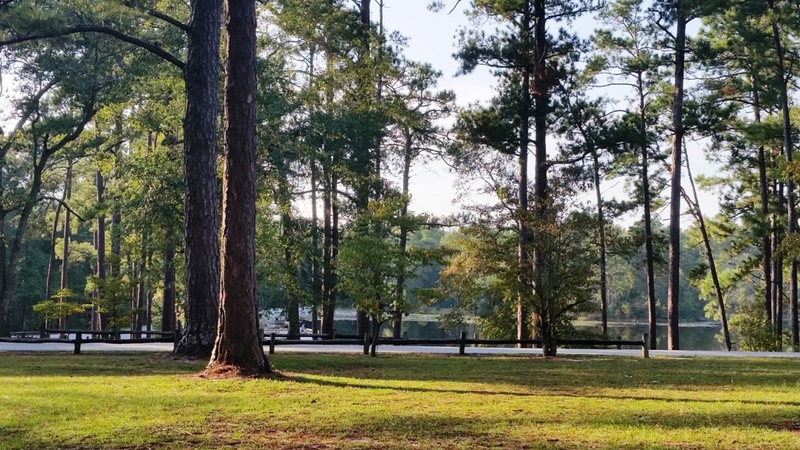 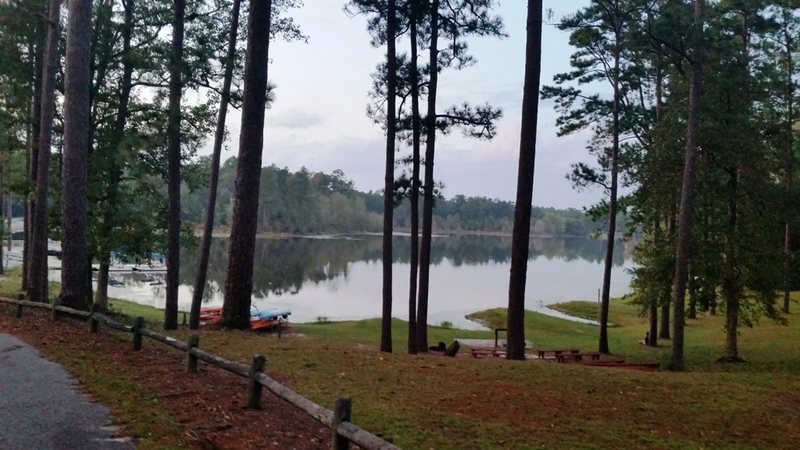 The campground is in an area near the lake with 26 sites for RVs and tents. 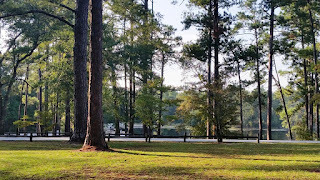 There are tall trees providing some shade. 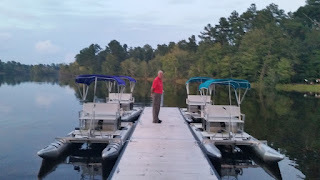 A great place for rigs of all sizes. There are water craft available to cruise the lake and picnic areas to enjoy the scenery. 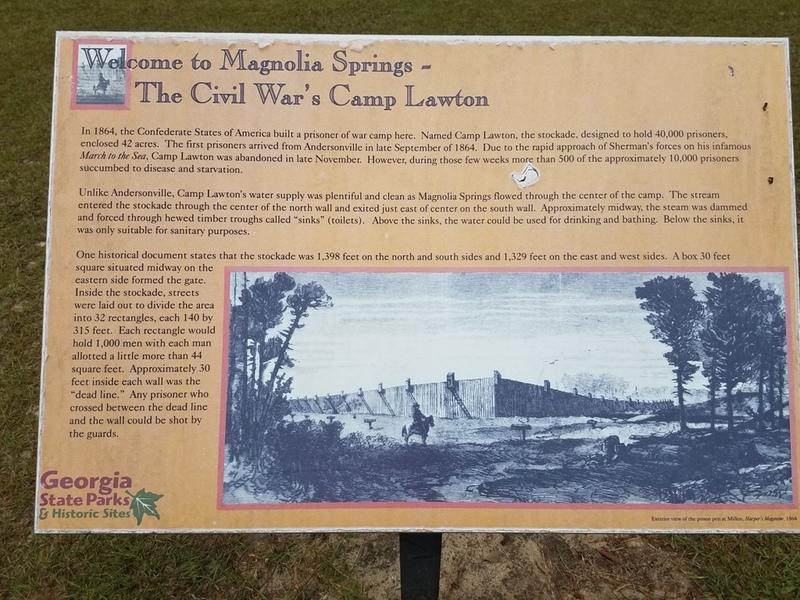 The park also has an important historical site on the grounds. 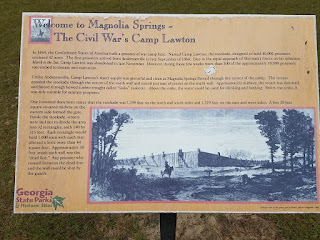 During the Civil War, a prisoner of war camp was located here, called Camp Lawson. 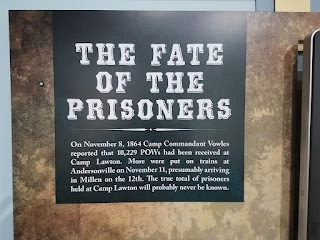 As the war dragged on, there was a need for another camp to hold the growing number of Union prisoners. 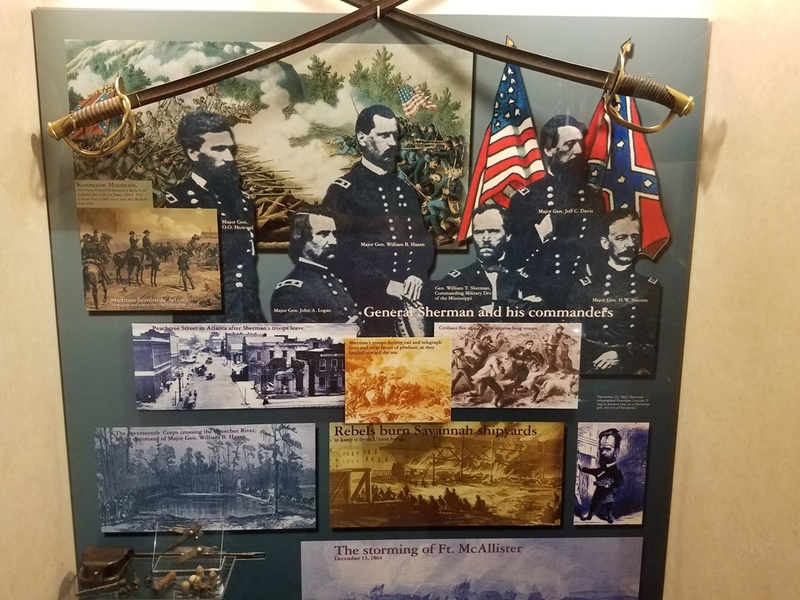 This need became acute when the North ended the prisoner of war exchange program in the hopes that this would shorten the time it would take to defeat the South. 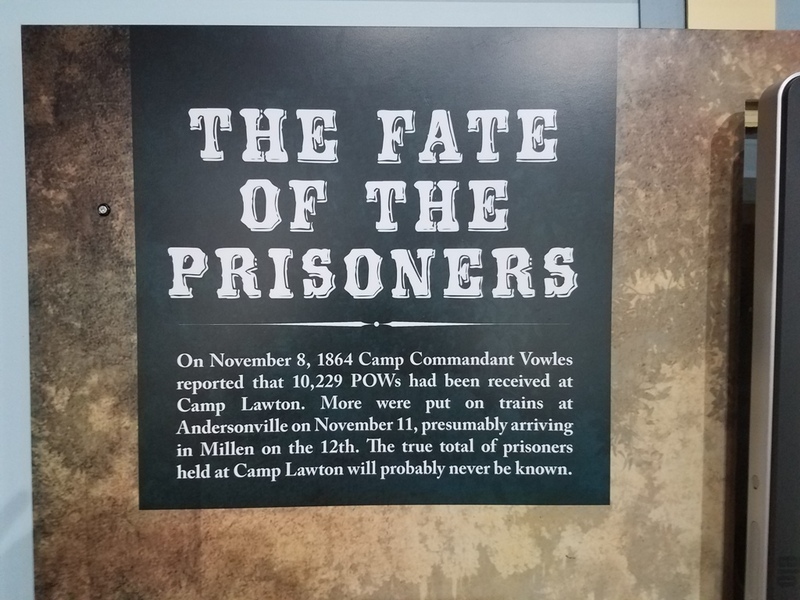 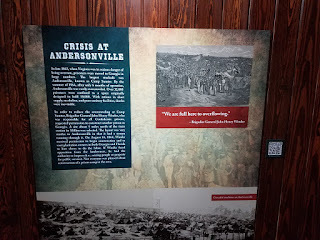 We saw firsthand how awful the conditions in these camps were when we visited the Andersonville POW site. 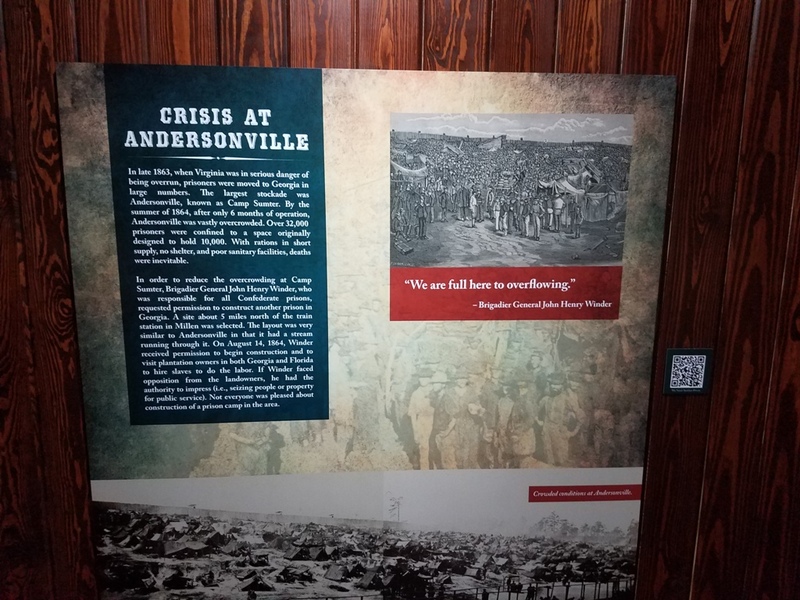 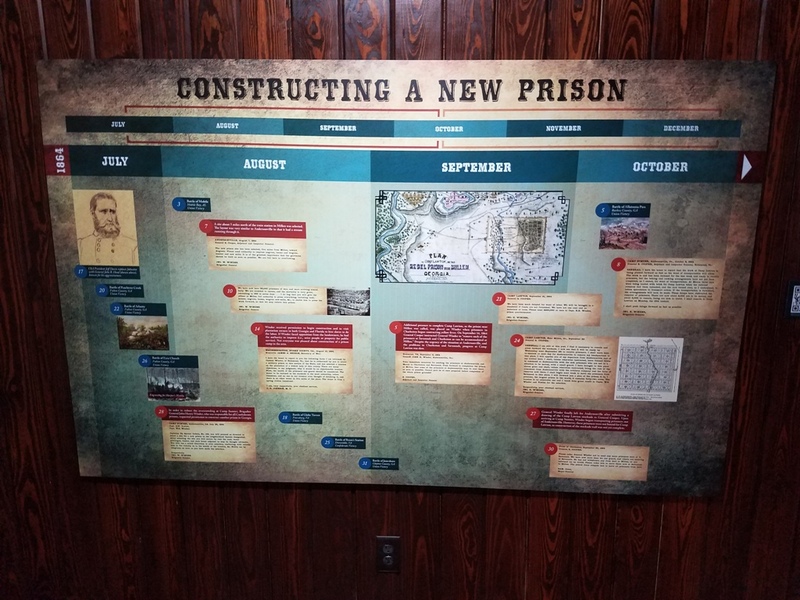 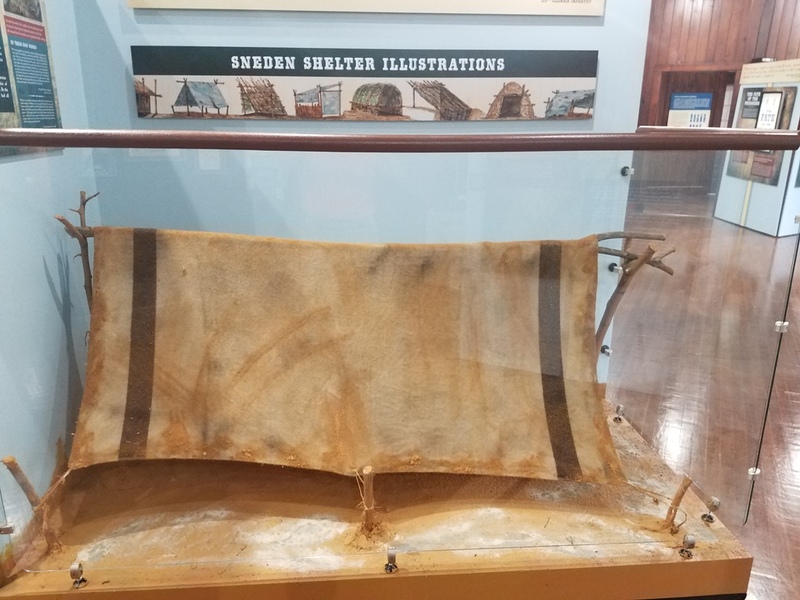 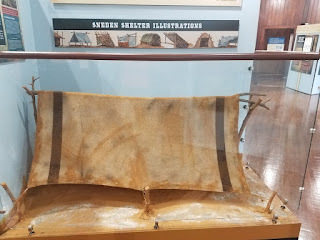 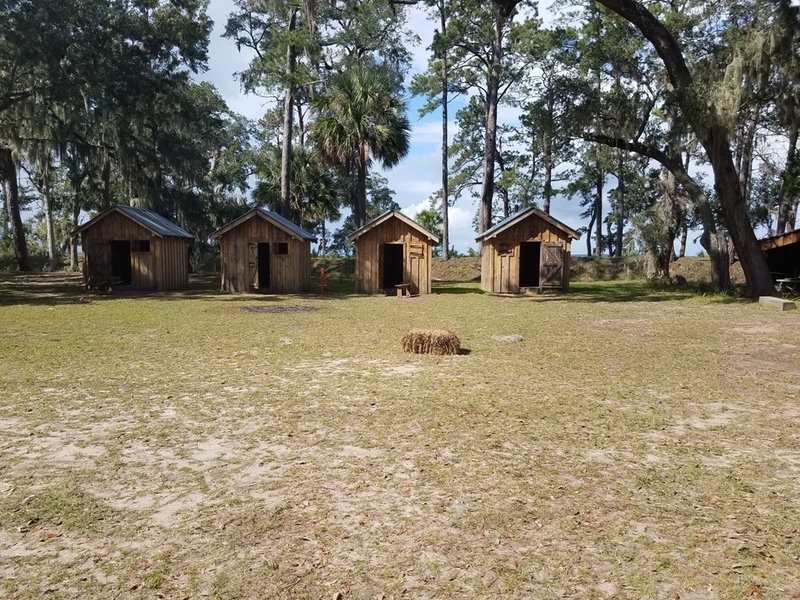 The design of this camp was nearly identical to the one in Andersonville, which more or less guaranteed horrific conditions for the prisoners, many of whom were sent here from Andersonville due to overcrowding. 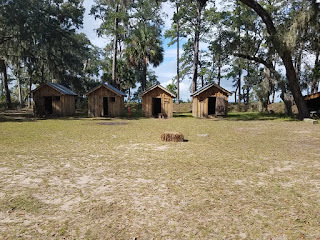 There were over ten thousand prisoners at the camp when it was abandoned as General Sherman made his march to the sea and Savannah. 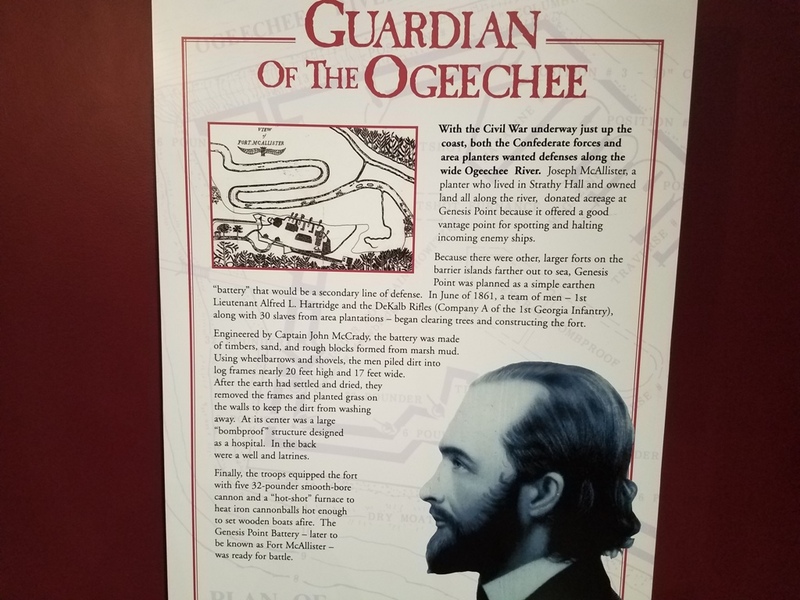 A small interpretive center is located next to the park check-in office. 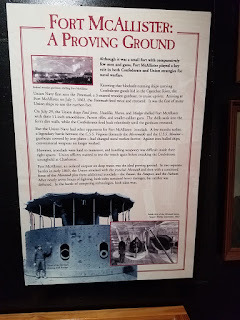 It is definitely worth the small fee to visit. 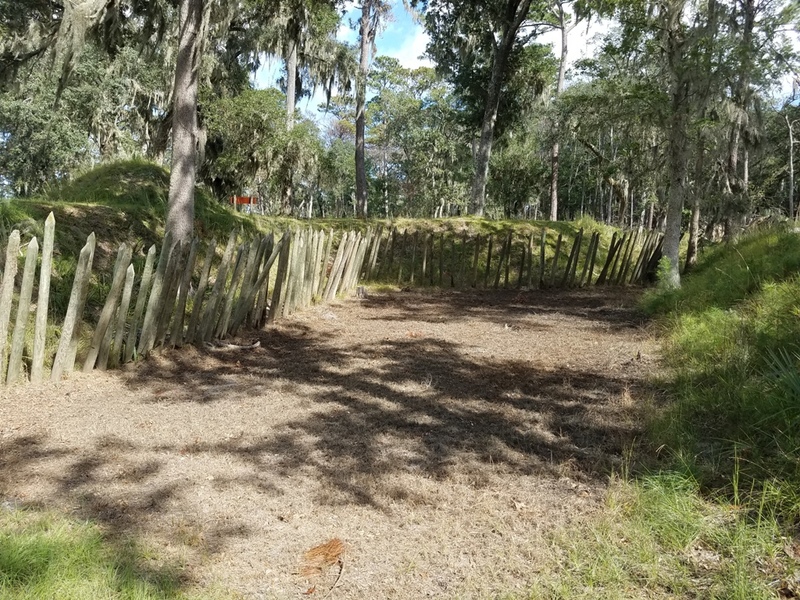 Across the way you can walk thru some of the earthen works of this camp that are undergoing archaeological study.